The Ford Ferguson 9N Tractor was the result of a gentleman's agreement between Harry Ferguson and Henry Ford. The 9N was produced at the Detroit factory between 1939 and 1947. 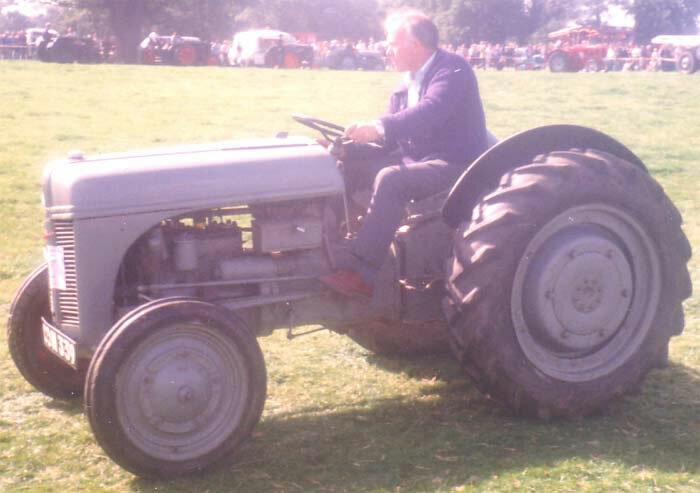 The Ford Ferguson was a vastly superior tractor to the Ferguson-Brown Model A. It was powered by the same engine used in the early Ford Jeeps. The combination of good power and the Ferguson Hydraulic System made it a huge success. Despite commitments to other war work more than 300,000 units were produced between June 1st 1939 and June 30th. 1947 when Harry Ferguson fell out with the Ford Motor Company. In order to combat the shortage of materials when America became involved in the Second World War, a simplified version, the 2N with steel wheels and magneto ignition was introduced, later when rubber became more plentiful American farmers could specify the 2N with pneumatic tyres.